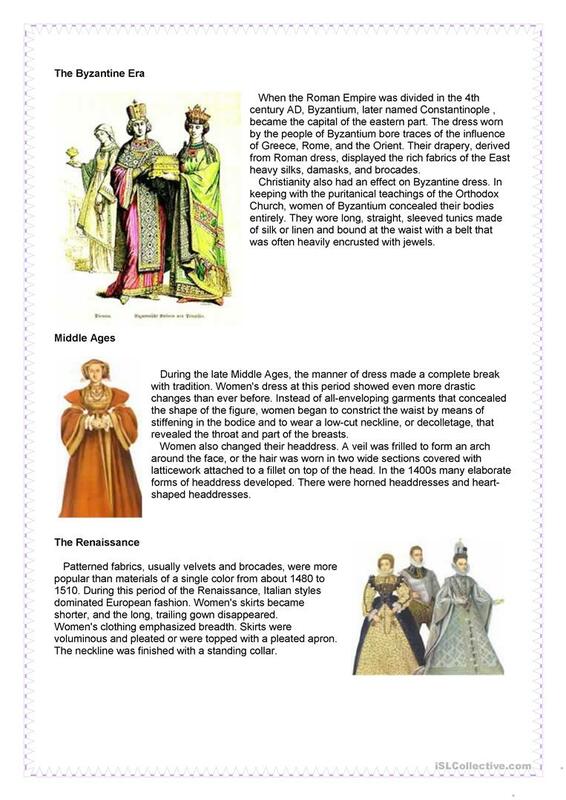 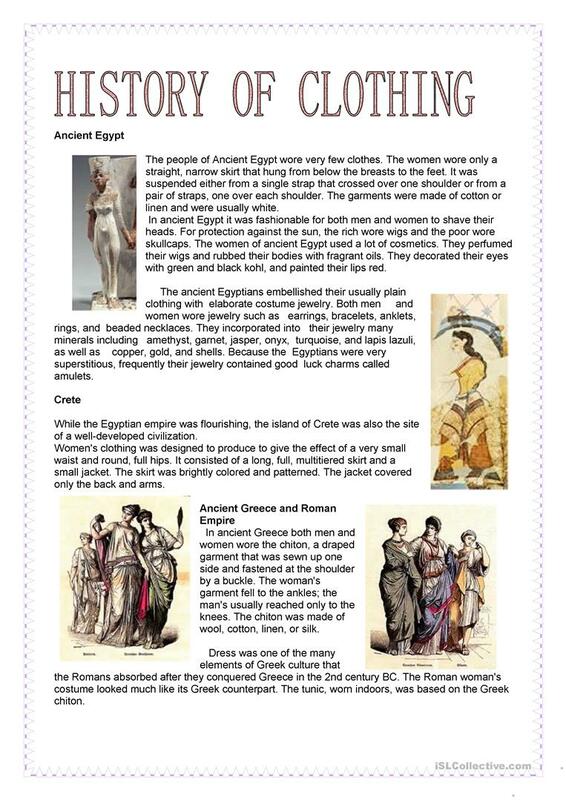 This text about the history of clothing is quite difficult and meant for advanced students. 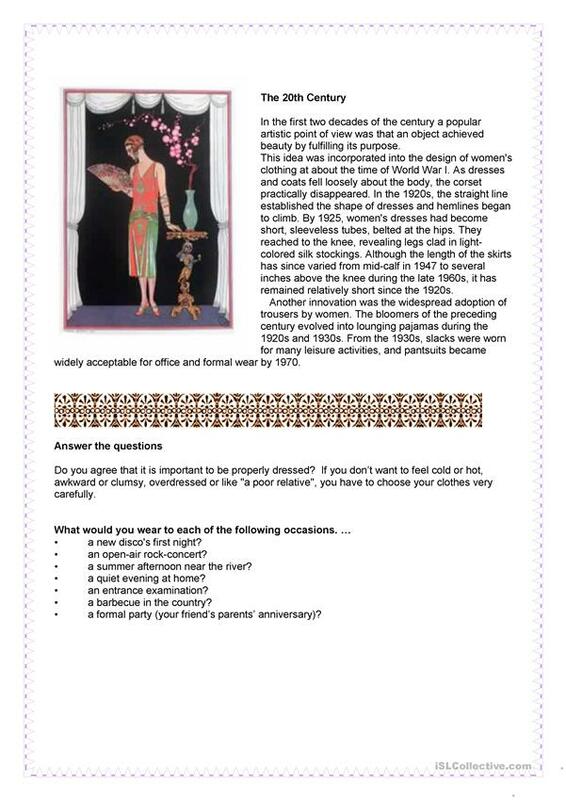 There are several discussion topics and a adjective exercise. 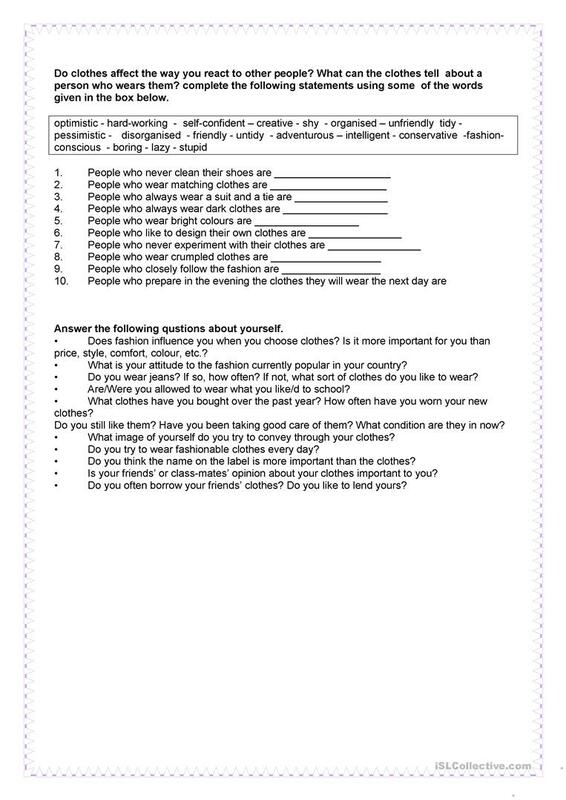 The present printable, downloadable handout is intended for business/professional students and adults at Advanced (C1) and Proficient (C2) level. It is excellent for honing your learners' Speaking and Reading skills. 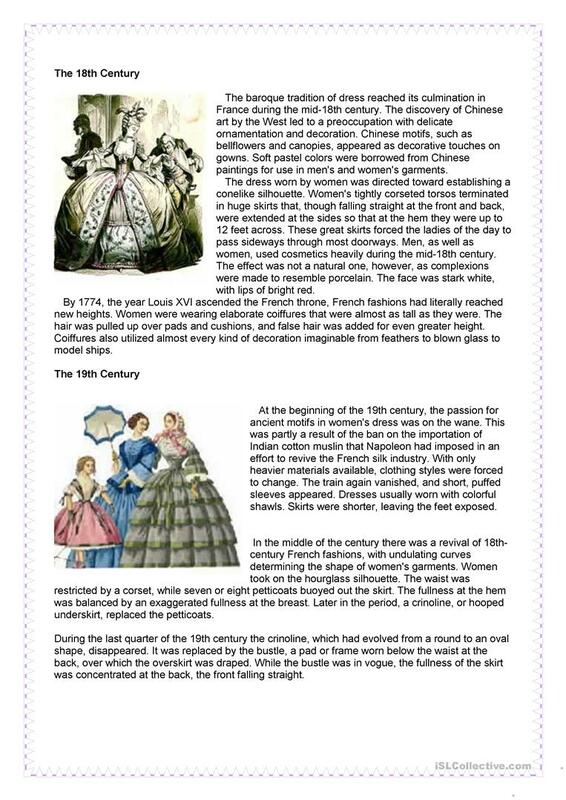 It focuses on the theme of Clothes, fashion.